Lions are the only big cats that live in large groups. They have the loudest roar of any cat. Lions do not live in the jungle but in a flat grassy plains called savannas. 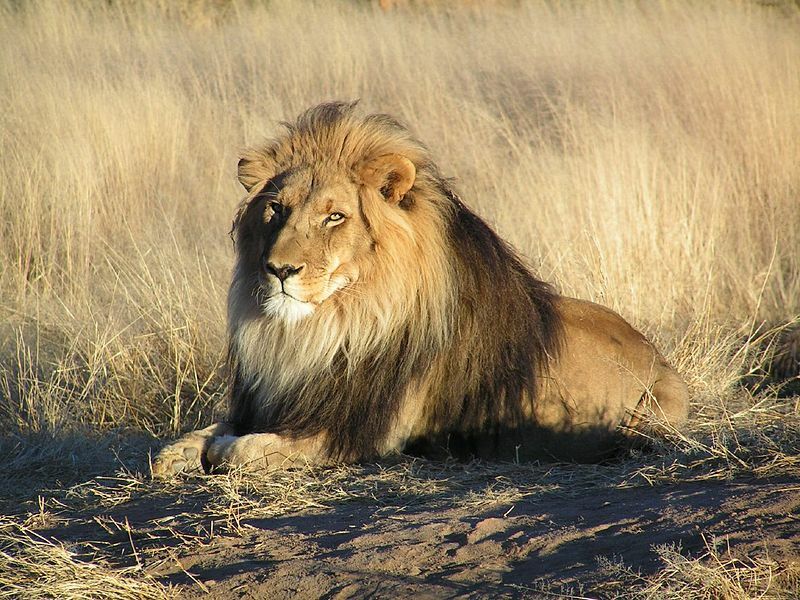 Once lions roamed nearly every continent but now they can be found across central and southern Africa. There is also a small population in India. More. 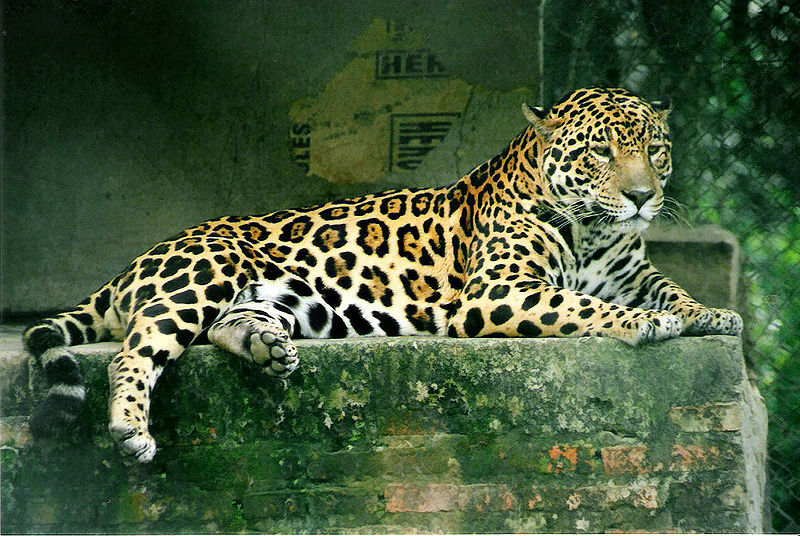 Jaguars live in the rain forests and open countryside in South and Central America. Jaguars once lived as far north as the southwestern United States. Jaguars look very similar to leopards, but behave more like tigers.. Jaguars are nocturnal and have the strongest jaw structure in the cat family. More about Jaguars. 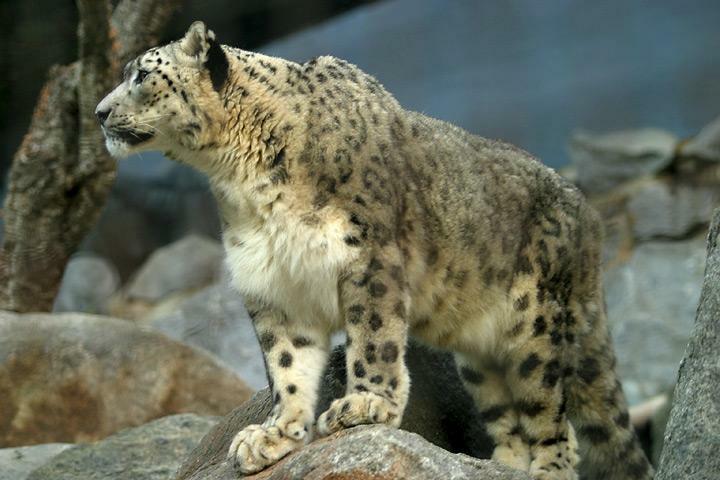 Snow leopards live in the high mountains of China and Central Asia throughout the Himalayas. Their tails are unusually long and thickly furred. During blizzards they wrap it around their face to keep warm. Snow leopards eat almost anything they can catch, often hunting animals three times their size. More. 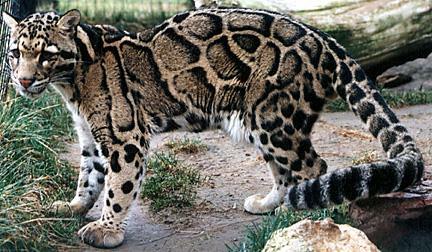 The clouded leopard is a medium-sized cat found in the forests of Asia. 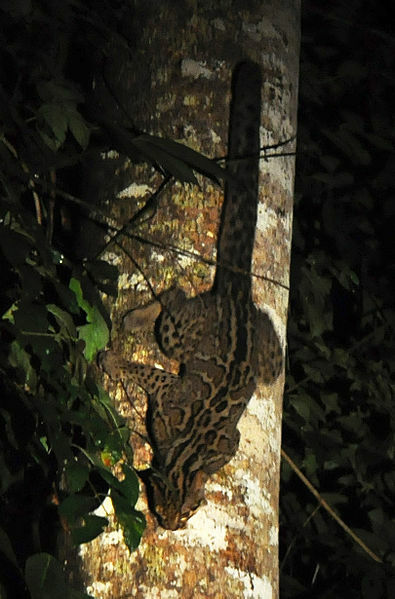 They are excellent climbers and can live in trees. They are very sure-footed. The tail can is long and it helps the cat to balance in the trees. They can even climb down tree trunks head-first. Other cats cannot do this. More. Cheetahs are the world's fastest land animal and can run at 70 miles per hour. 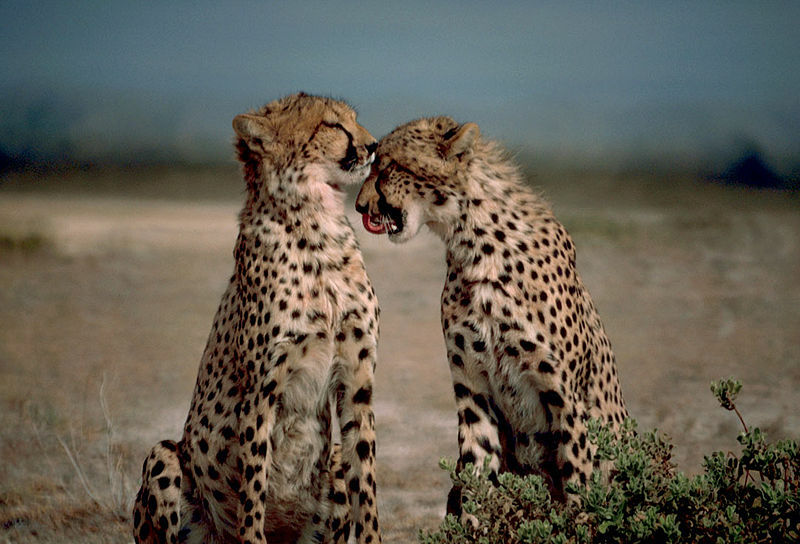 Most cheetahs are found in Africa, a few are still seen in Iran. Cheetahs are dog-like, medium-sized spotted cats with long legs and slender muscular, bodies. Cheetahs do not roar, but they make a number of very un-catlike sounds. More. 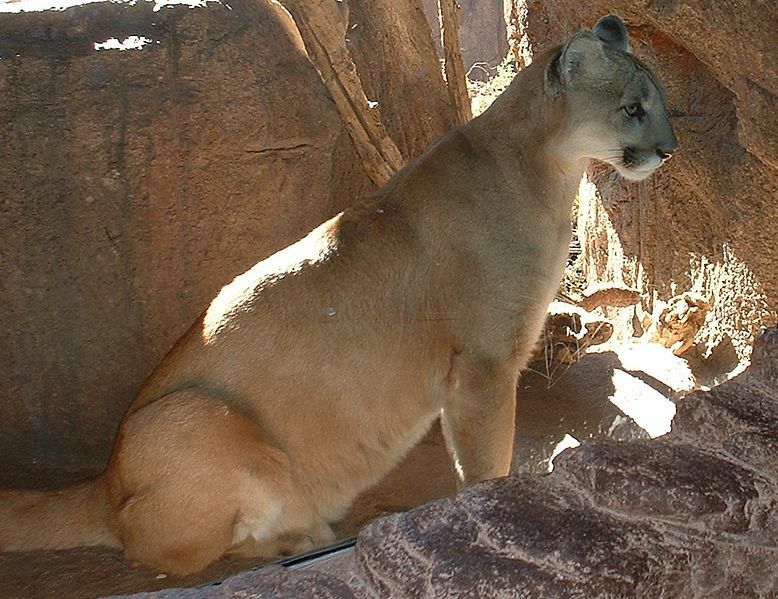 Pumas are widely spread in North, Central and South America. The puma can run very fast, as much as 45 mph and because they can jump 30 ft forward from a standing position, they can very easily catch slower animals and have sometimes been known to chase and catch humans on bicycles. More. 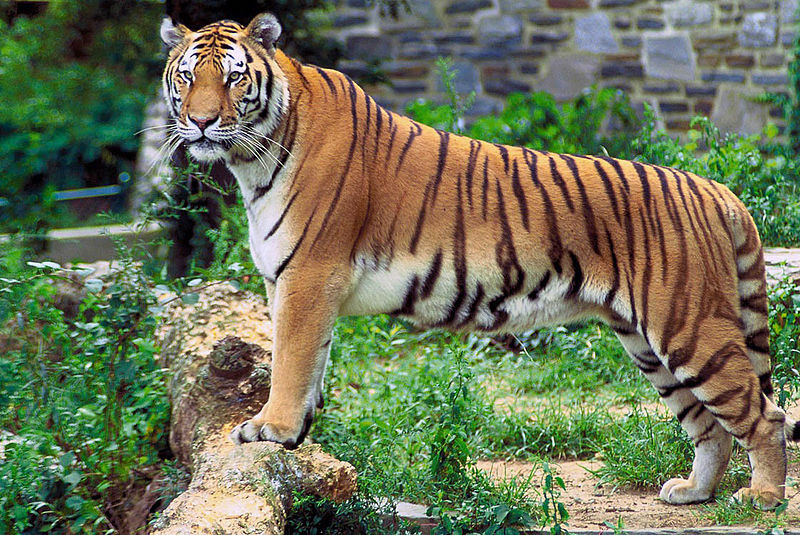 Wild cats are the ancestors of the domestic cats that live in our homes. 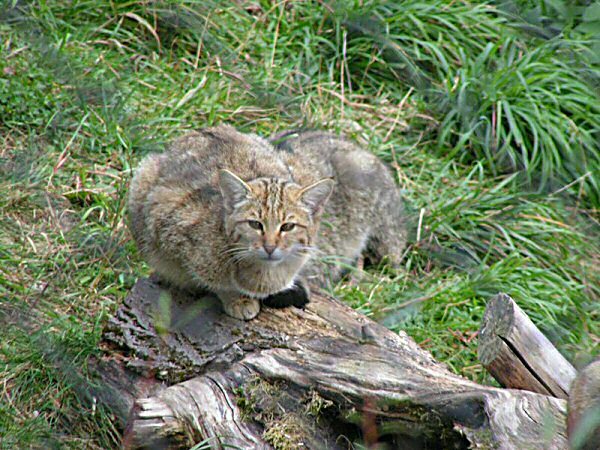 There are three different types: the European, African and Asiatic Wild Cat. The European Wild Cat lives in Western, Central and Eastern Europe, Scotland and Turkey; but not in in Scandinavia, Iceland, England, Wales, or Ireland. More. The four species of lynx are very widespread. The European Lynx lives in northern Europe and Asia. 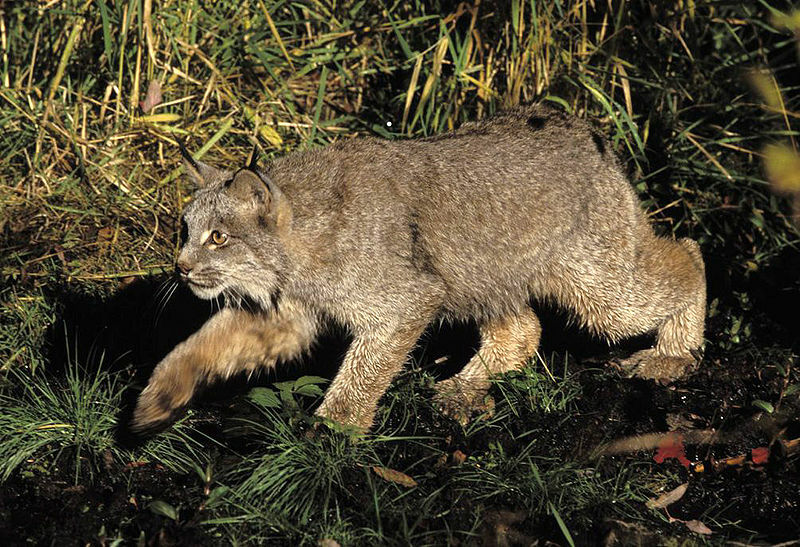 The Canadian Lynx lives in North America. The Iberian Lynx is endangered and only lives in wild parts of Spain. Bobcats are the smallest type of lynx, living in North America, named after it’s short tail. More. The marbled cat is found in forests of the Malay peninsula, Sumatra and Borneo. It is only slightly larger than a domestic cat and has a long tail. It spends a great deal of time in trees. Not much is known about their habits because they are rare in the wild and there are no specimens currently kept in zoos. More. Ocelots mostly live in South and Central America, but there are some as far north as the southernmost United States. Ocelots mostly come out at night. Ocelots like to eat small animals like monkeys, snakes, rodents and birds. Almost all of the animals that the ocelot hunts are far smaller than it is. More. Rusty spotted cats live in southern India and Sri Lanka. 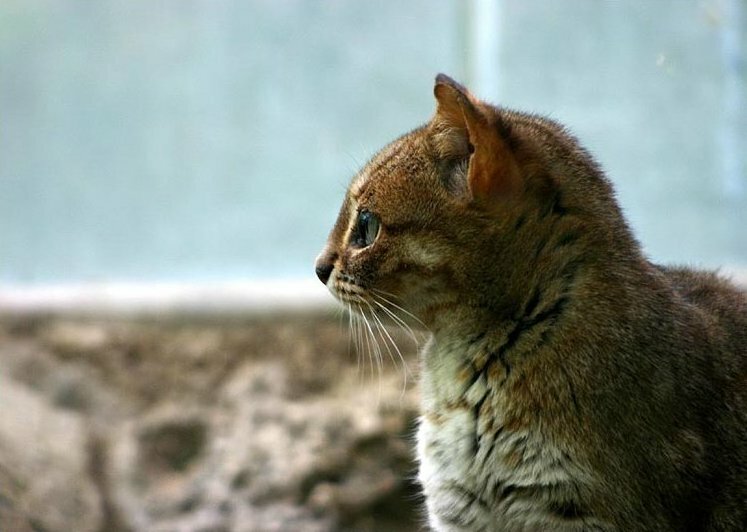 They are the smallest cats with small ears, a body about 40 cm in length and a short 20 cm tail. The color of the fur is gray with rusty spots all over the back and the flanks. 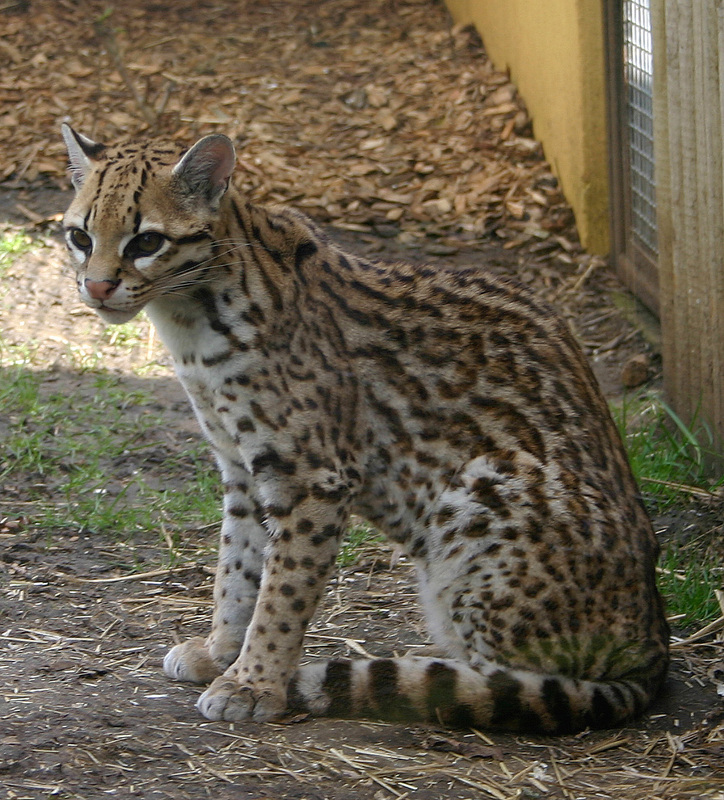 It is similar to its relative the Leopard Cat. They weigh from three to four pounds. More.